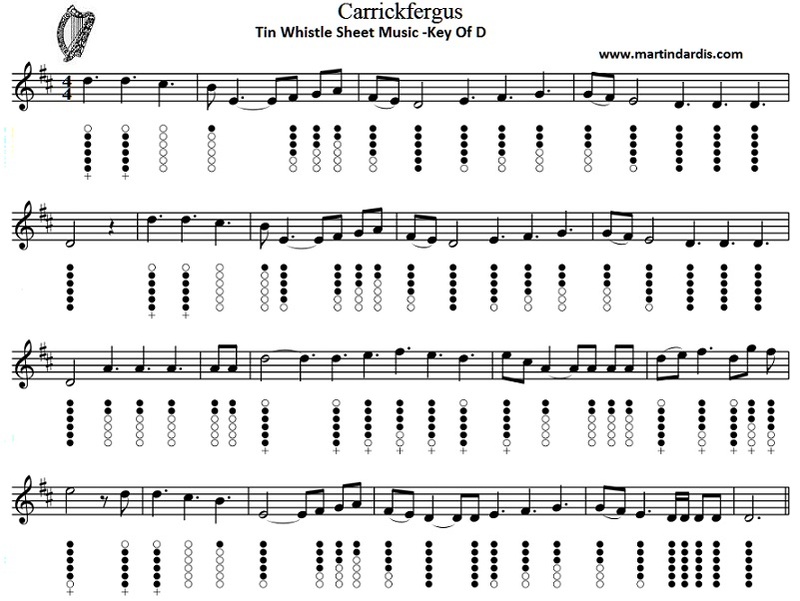 Carrickfergus Tin Whistle Sheet Music Notes and banjo / mandolin tab. Probably first recorded by Dominic Behan in the 1961 and later by The Clancy Brothers and Johnny McEvoy. Collected by the actor Peter O'Toole. The song is most likely a traditional one as there is no evidence of the writer anywhere. Brendan Behan said he wrote the second verse. 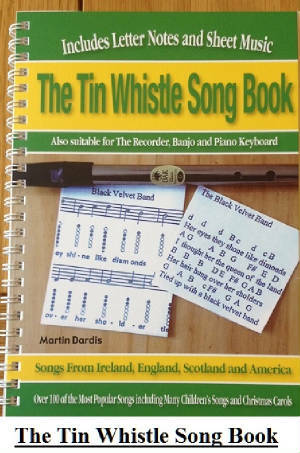 The tin whistle music is set for a D whistle and the second is in key of C. The first is the easy one.